In recent times, there has been a lot of leaks and speculations regarding the upcoming Samsung Galaxy S10 series. 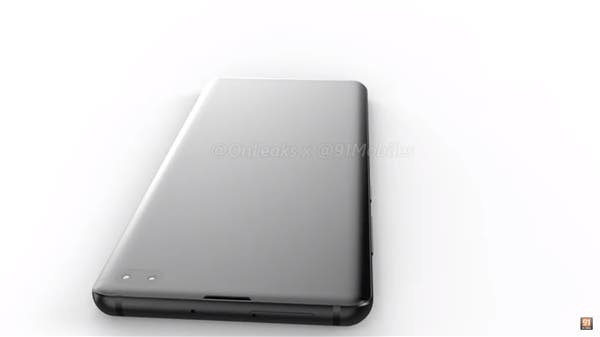 Today, a new set of renders of the Galaxy S10 Plus appeared online. 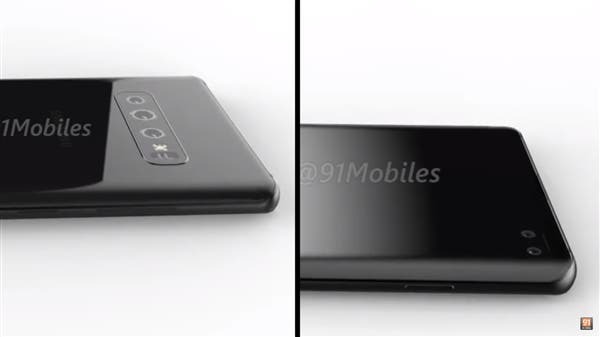 From the speculations so far, the Samsung Galaxy S10 Plus uses a 6.4-inch QHD hyperboloid display, officially known as the “Infinity-O” display (loosely called “digging screen”), and it has a screen opening for the front camera. 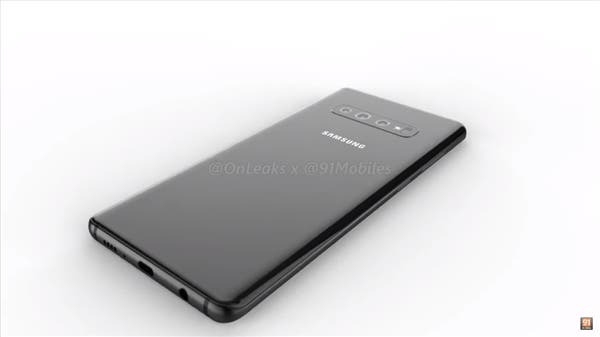 According to the renderings released by Onleaks, the Samsung Galaxy S10 Plus has a dual camera on the front, placed in the upper right corner. The rear has a triple camera setup consisting of a standard lens + wide-angle lens + telephoto lens. This is going to be Samsung’s first triple camera flagship. Not only that, the Samsung Galaxy S10 Plus supports an ultrasonic screen fingerprint recognition which is another first. 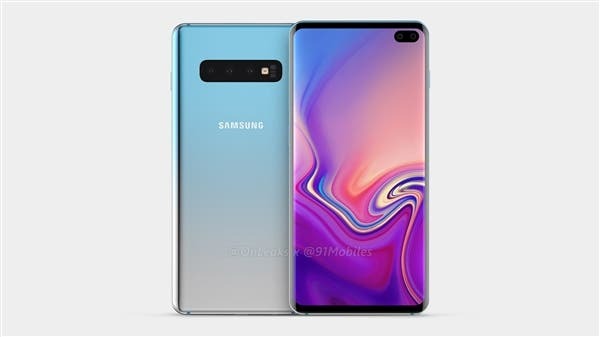 In terms of size, the Samsung Galaxy S10 Plus will come with a dimension of 157.5×75.0×7.8 mm and the rear camera thickness extends to 9mm. It is equipped with a Type-C interface, retains a 3.5mm headphone jack, and has a dedicated Bixby button. This smartphone will be powered by a Qualcomm Snapdragon 8150 processor (this processor may be named Snapdragon 855). Some versions will be equipped with the Exynos 9820 processor. The SoC will be supported by up to 12GB of RAM and 1TB of internal storage. Android 9 Pie will be at the center of its operations. 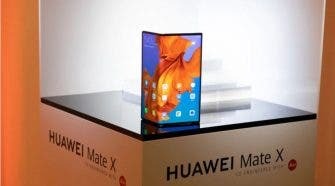 This smartphone is expected to be announced at MWC2019. As of now, most of the information are based on speculation and not much has been officially confirmed.